Lady Lavinia Gillingham prefers rocks and dirt to marriage. Her passion is science, and she’s determined to marry if—and only if—she finds a man who supports her interests and intellect. So far, she’s managed to avoid attention on the Marriage Mart, but when the Duke of Seduction pens anonymous letters singing her praises, she suddenly becomes the toast of the ton and matrimony seems imminent. I won a copy of this book in a contest held by the author. I loved Lavinia Gillingham’s and William Beckett’s, Marquess of Northam’s story. Beckett pens poems praising women who have been ignored by society and publishes them anonymously under the name Duke of Seduction in the paper. The poems lead to the women to all of a sudden having attention cast upon them. Several of the ladies end up betrothed as a result. When Lavinia captures the attention of Beckett, he decides to help her and pens a poem. Lavinia is not happy with the attention she received as a result. As Beckett and Lavinia get to know each other better, their attraction grows. No spoilers but there are some things in Beckett’s past that add depth to his character. Lavinia handles situations with grace and toward the end of the story she does what she thinks is best in a situation even if it means things will fall apart for her. It was interesting to see how Beckett’s character progressed through the story as he had more to work through. Both the hero and heroine were likable. I’m looking forward to reading the next books in this series. Sigh.... What an emotional, perfect story full of characters with such feelings and emotions that you do not know what to expect next. Beautiful poetry at the start of each chapter that was brilliant for the storyline. A hero, William Beckett, Marquess of Northam who suffers from depression and dark moods, mainly due to the death of his sister years ago and a failed romance when he was very young. He has so much depth though because he can play the guitar beautifully (I think this is a first in a story I have read) and is actually a great poet. Lady Lavinia Gillingham has been out in the marriage mart and her parents are pressing her to pick a husband and marry. But she prefers her geological studies more than the idle pursuits of the ton and tries to remain a wallflower to ward off any boring men. But she is thrown into the spotlight as she is named in the paper with the "Duke of Seduction" going on about how wonderful she is!! When she meets Beck in a surprising situation, she has a hard time forgetting him as they keep running into each other. Can she help him from his darkness and he help her find her perfect match? 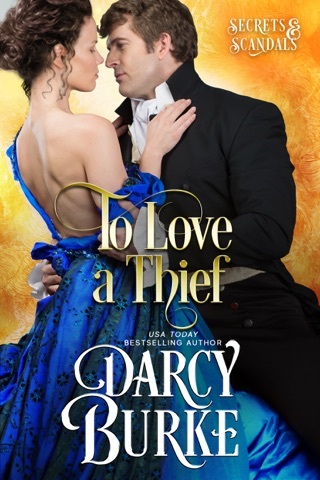 I truly loved Beck and Lavinia and was so anxious as I turned each page to see what would happen. Although part of a series, this can be read as a stand alone. But why would you want to do that? 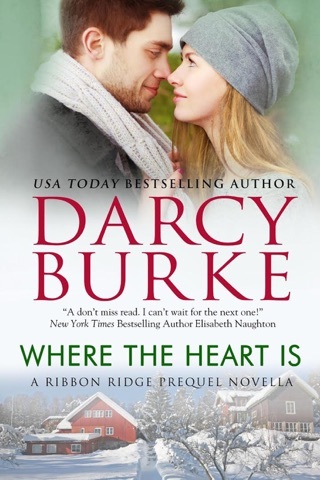 Darcy Burke has woven a magical series that only has me anxious for the next story and I cannot wait!!! I absolutely loved it. All of the Untouchables are great books. I can’t wait for more.